A new measurement option from Rohde & Schwarz for the R&S FSW high-end signal and spectrum analyzer supports realtime signal analysis for frequencies up to 50 GHz with an analysis bandwidth of 160 MHz. This makes it possible to detect interfering signals to the exact level and without gaps – all using a single, extremely fast measuring instrument with outstanding RF characteristics. 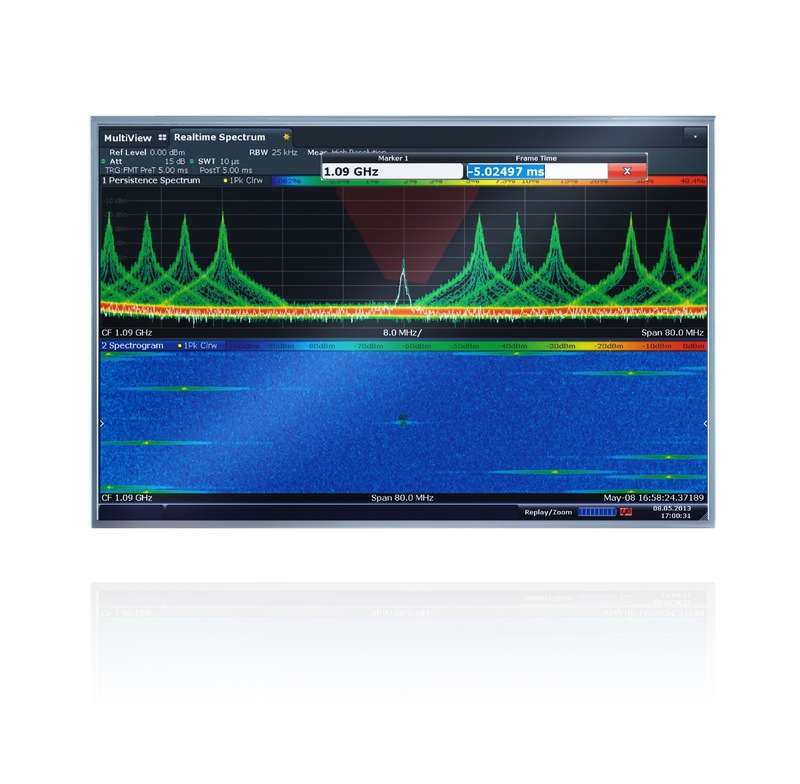 The R&S FSW high-end signal and spectrum analyzer scores top marks when it comes to sensitivity, dynamic range and phase noise. It is therefore the ideal measuring instrument for the development, verification and production of components and equipment used in radar applications as well as satellite, military and civil communications systems. The new R&S FSW-K160R option also upgrades the R&S FSW to a realtime spectrum analyzer. This gives users a single instrument that can be used for traditional spectrum analysis with excellent RF characteristics as well as spectrum analysis without any time gaps and a bandwidth of up to 160 MHz in realtime mode. The R&S FSW detects even short, sporadic events that would otherwise be hard to identify without taking up a great deal of time. In aerospace and defense, telecommunications or the automobile industry, realtime analysis offers advantages wherever sporadic interference or brief events need to be identified with 100 percent reliability. Realtime analysis makes it possible to monitor the hopping sequences of frequency-agile systems and test colliding signals such as WLAN and Bluetooth® that are using the same frequency range. It can also be used to test transient response and frequency hops of oscillators and frequency synthesizers, since even brief signal errors can result in massive interference in many communications applications. The new R&S FSW-K160R option eliminates the need for an additional measuring instrument. With 600,000 FFT/s in realtime mode, the R&S FSW has twice the time resolution of other instruments available on the market. The analyzer covers the entire frequency range from 2 Hz to 50 GHz. Using harmonic mixers from Rohde & Schwarz, it can also be expanded to include frequencies up to 110 GHz. The simple touchscreen operation with block diagrams for the analysis functions on a large 31 cm screen considerably simplifies complex measurement tasks. The R&S FSW-K160R option for realtime signal analysis will be available from Rohde & Schwarz starting in July. For detailed information about the R&S FSW and its options, visit www.rohde-schwarz.com/product/FSW.